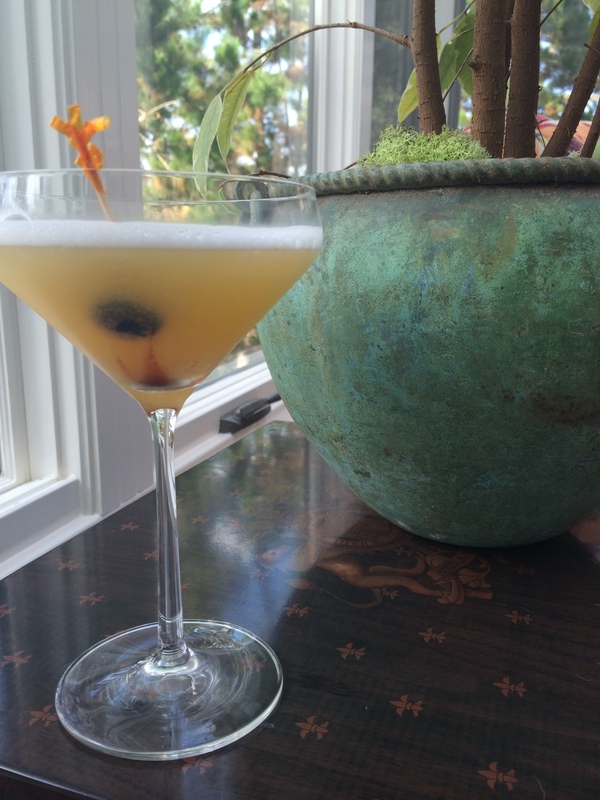 The bartender who invented the drink version of The Maiden’s Prayer in 1907 was a British ex-pat living in Paris named Frank Newman who was at the same time writing a book called American Bar, meant to be a guide for the French on making American-style cocktails (so, basically, just cocktails). The Maiden’s Prayer first appeared in his book, but quickly rose to popularity. 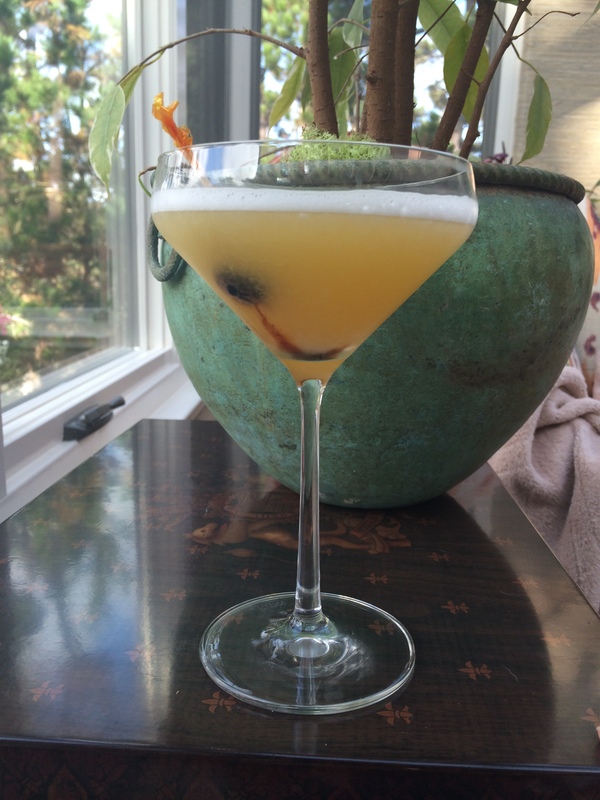 The drink itself has multiple citrus elements, but although it does include a bit of Grand Marnier, the drink is not sweet — it is tarte and has a distinctive bite — so for those out there uninterested in the sweeter cocktails, this one is for you! Gather your ingredients, plus your jiggers, fruit press, cocktail shaker, and serving glass. First, prep your juices and your egg whites. If you are using a regular egg to get your whites, crack it over a small bowl and with your fingers carefully separate the yolk from the white. Toss the yolk and set the white aside. We actually recommend using the cartoned egg whites if you can, they are more uniform in consistency and much much easier to measure. 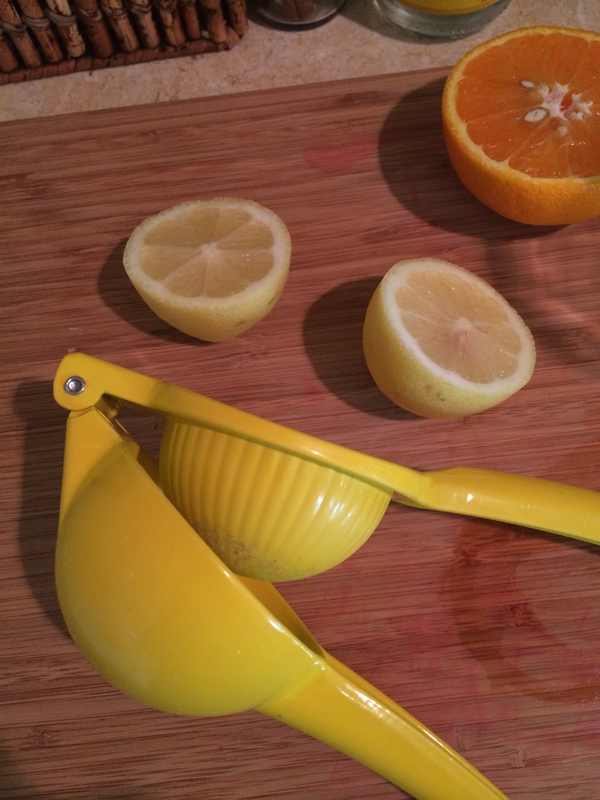 Now make your lemon and orange juice. You will likely need 1 whole lemon, but will need less than half of an orange — so just juice the whole thing and get yourself a little extra vitamin C on the side! 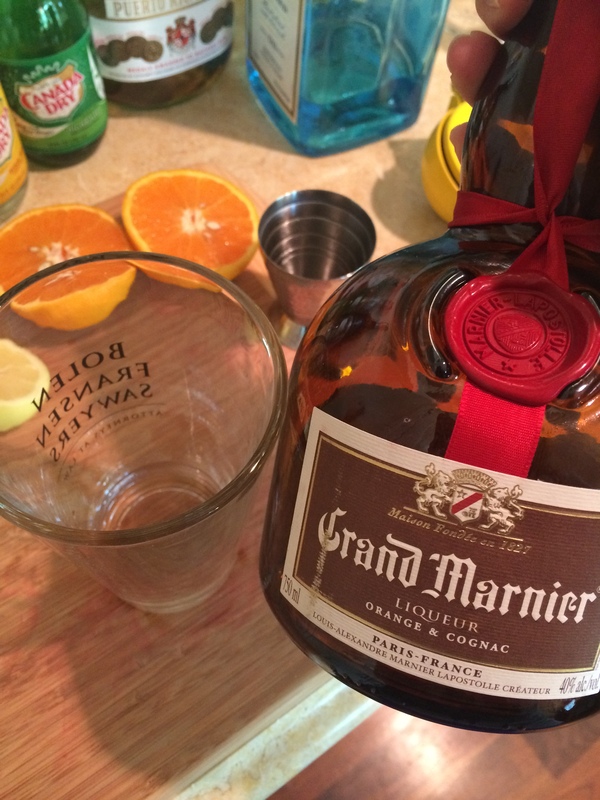 Now measure out your 1 1/2 oz gin (we recommend Plymouth or Hendrick’s) and pour it in your shaker glass, followed by your 3/4 oz Grand Marnier. 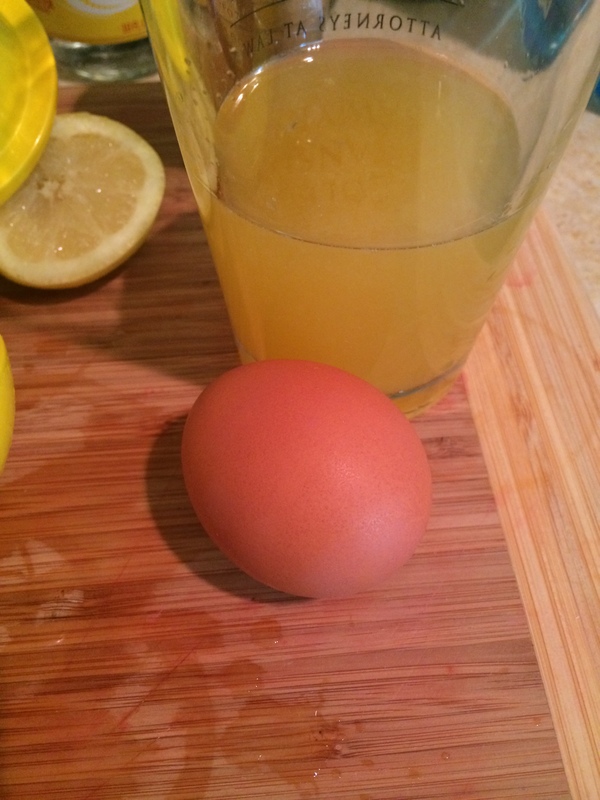 Follow that up with your 1 oz lemon juice, 1 oz orange juice, and your egg white! 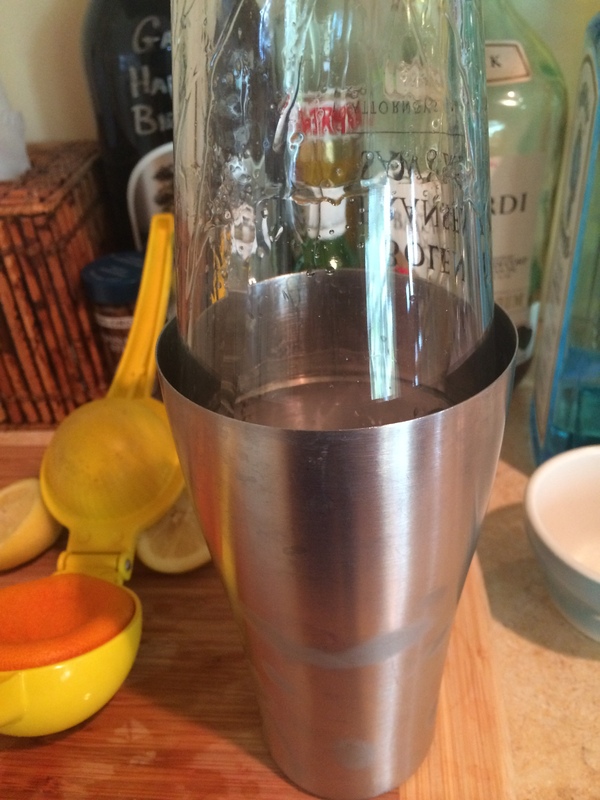 Now fill your shaker tin with ice, pour over your ingredients, and shake for 30 seconds! 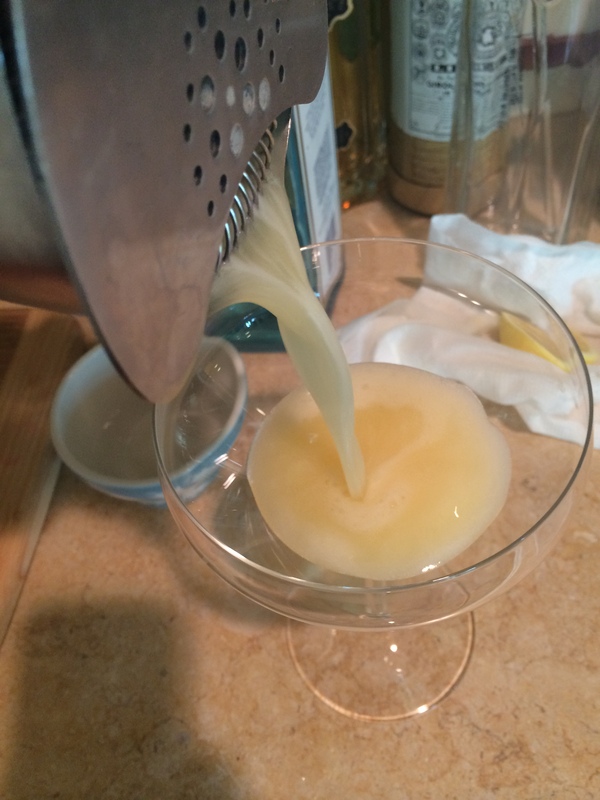 Strain that baby into your serving glass — the final product should be frothy (from the egg white). Add in your cherry, and you are ready to go! Now sit back, relax, think only pure thoughts, and enjoy the Maiden’s Prayer Jitney! 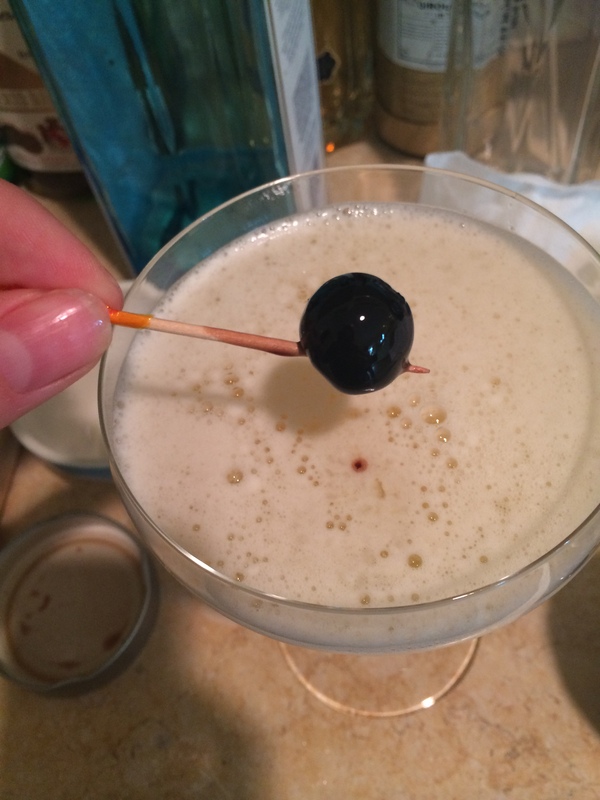 This entry was posted in TBT Classic Cocktail and tagged citrus, classic cocktails, fresh squeezed juice, gin, grand marnier, hendricks gin, maiden's prayer, maiden's prayer drink, maiden's prayer jitney, maraschino cherry, plymouth gin, Shaken Drinks, tbt by kellyatthebar. Bookmark the permalink. You’re correct, I’ve never heard of it but I’m completely intrigued. I have the ingredients so I’ll give it a try this weekend. Thanks, for posting!